It's the start of a new challenge over on the Teddy Bo Challenge Blog today and my team, Team A are hosting. Red, White, Blue and lots of Bling! So let's see what you can come up with using those colours on your project and adding lots of pearls, gems, glitter, etc. 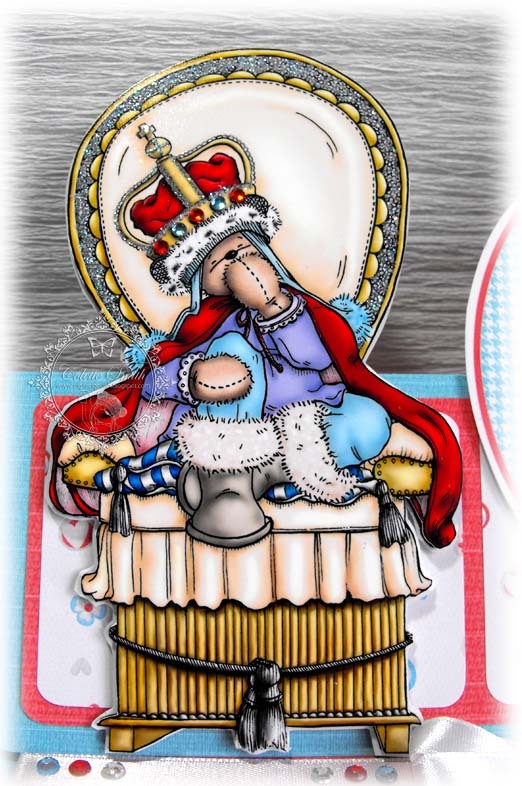 I have made an easel card this week, using one of today's new releases. Make sure you pop over to the Challenge blog and check out the fabulous creations from my teamies. I love every thing about it. Can we just say WOW! This is fabulous, awesome colors and awesome design and details. This is stunning Colette, fab image, fab shape, fab just about everything. Colette, your card is amazing! Thanks so much for sharing it with us at The Crafty Pad this week! Fantasic colouring. Love the crown and the little charm and the scroll it is on is so delicate! Everything is perfectly put together by you - FAB!!! Gorgeous fun card sweetie. Great colouring and layout. I saw you on MIM this week. wow this is fab! Bea certaily looks like she is enjoying being queen! 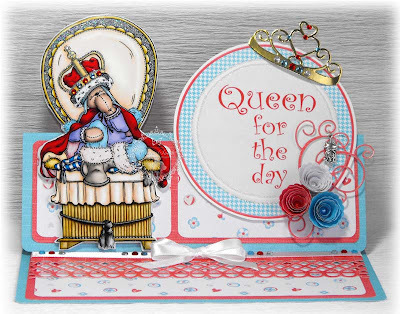 Thankyou so much for joining the fun this time over at craft your days aways challenge! Gorgeous card. Thanks for playing with us at One Stitch At A Time. Thanks for linking up with us at THE CRAFTY PAD for our 'colours of your flag' challenge this week. A great easel card. I love the image, sentiment and your rolled flowers. 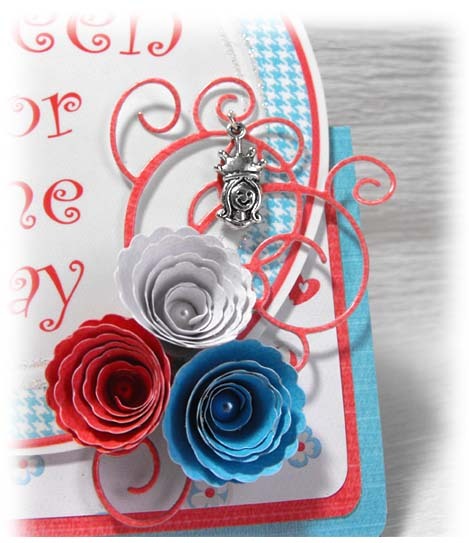 Thanks for joining us at Craft Your Days Away in our red white and blue challenge this fortnight and good luck. Welcome to my blog, my name is Colette, I live in Liverpool, am married to Eric, have two daughters Stacy and Meg and two grandsons Will and Charlie. 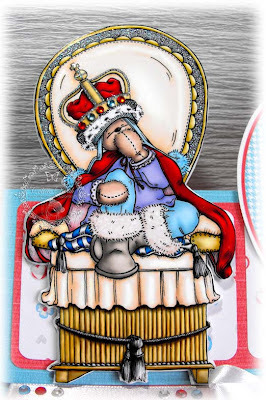 I've crafted for many years, cake decorating, cross stitch, Faberge style egg decorating, flower arranging, scrapbooking, card making etc, etc, but a few years ago I discovered digital products, which I am completely in love with! Please feel free to use any ideas you see on this blog as inspiration for your own projects, but please do not copy them and submit them for publication, enter them in competitions, or sell the images in any format.